The Texas Skunk and Ms Skunk traveled to Europe during August and September, 2014. We flew into Amsterdam, stayed a few days there and subsequently boarded a Viking River Boat for a river boat cruise from Amsterdam to Budapest. 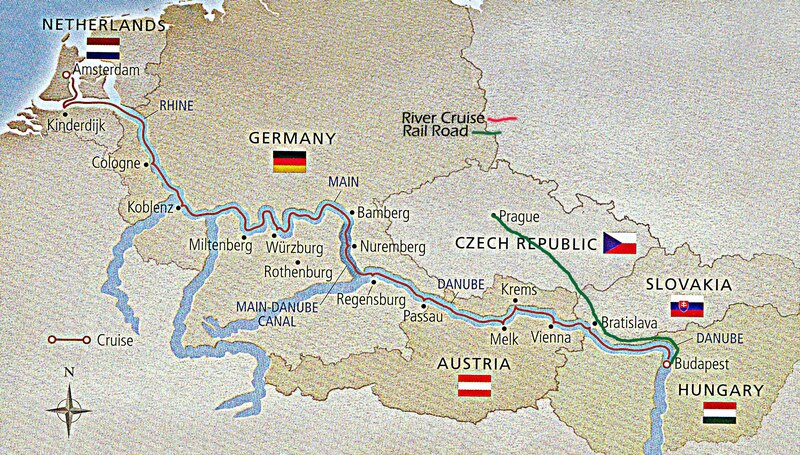 We then boarded a EuroRail train to Prague. Returned home from Prague via Amsterdam. Took thousands of photos! Literally over 3000! BUT that’s not so many when it is estimated the over 880 billion photos will be taken in 2014. Just trying to hold up my end. The best are divided by location. The rest go into the “Delete File” Hope you enjoy them. Please see Copyright notice at bottom of Home page for use of these photos. Yeah, this is the fine print. We traveled by air to Amsterdam, by river boat to Budapest, rail to Prague and then back home by air. First Stop Amsterdam. Click here to go with us. You may jump to any of the site pages by clicking on the listing below or just view each page. There will be a link at the bottom of the page to take you to the next one. Cologne or Koln as the Germans spell it.